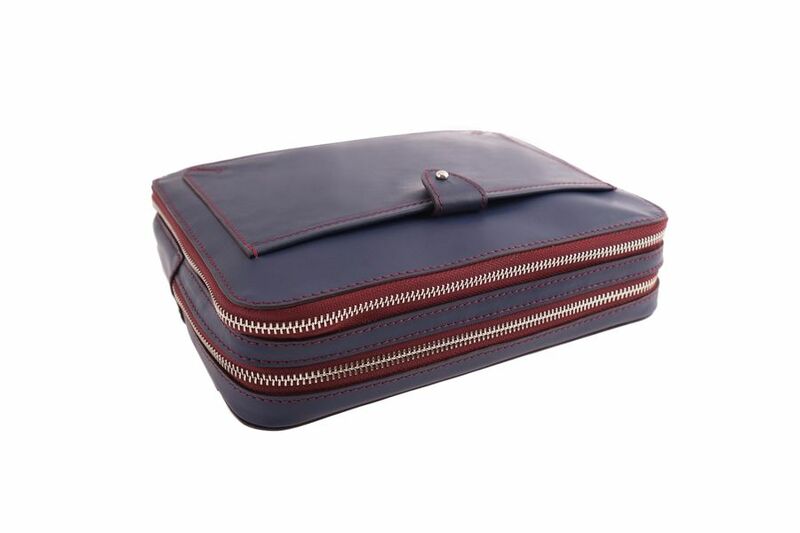 Founded by a trio of creatives, Container specializes in leather goods and accessories for the modern gentleman. Influenced by the sharp lines of Japanese and Scandinavian designs, the brand produces highly refined yet durable pieces that improve in look and feel with every use, each one hand-constructed by a single craftsman using authentic age-old techniques. 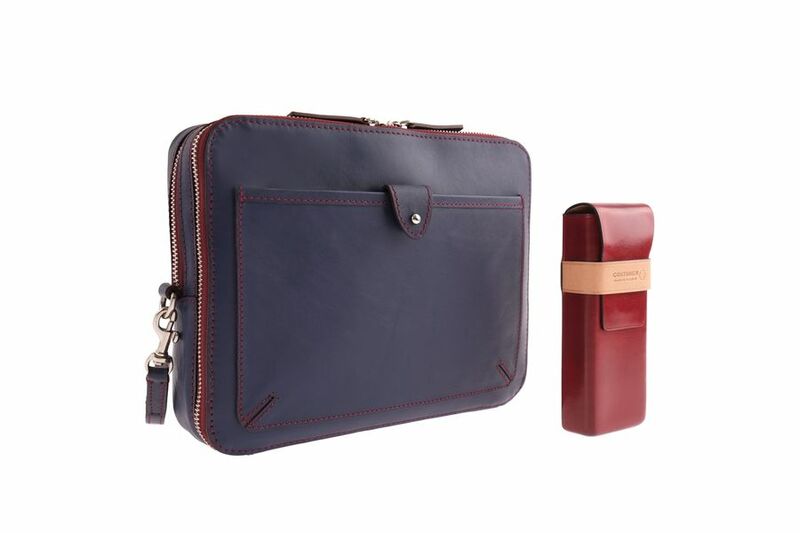 The Container boys chose to produce a set of accessories to house every commuter’s professional and personal effects, which undoubtedly include his burgeoning gadgets (no innuendo intended). 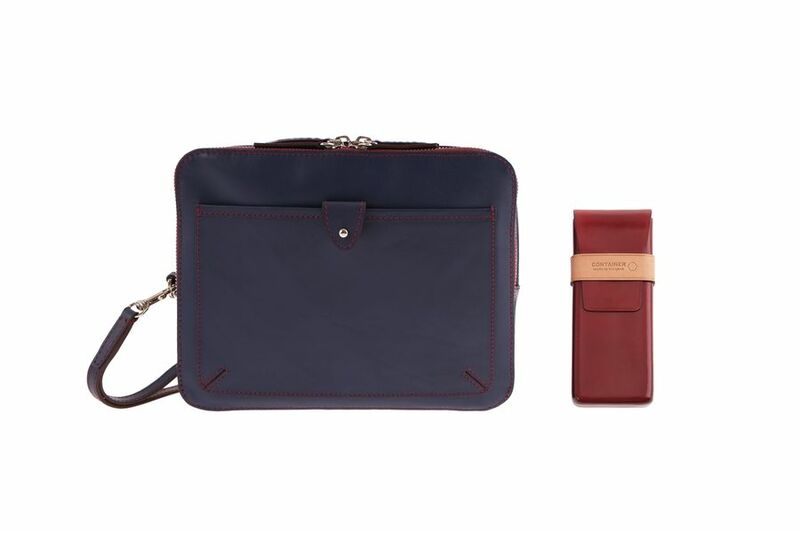 Creative director Suvisit “Due” Laohapongchana’s travel case is a compact, multi-compartment pouch made entirely from locally sourced Napa leather in the Thai-influenced colour combo of navy blue and red. 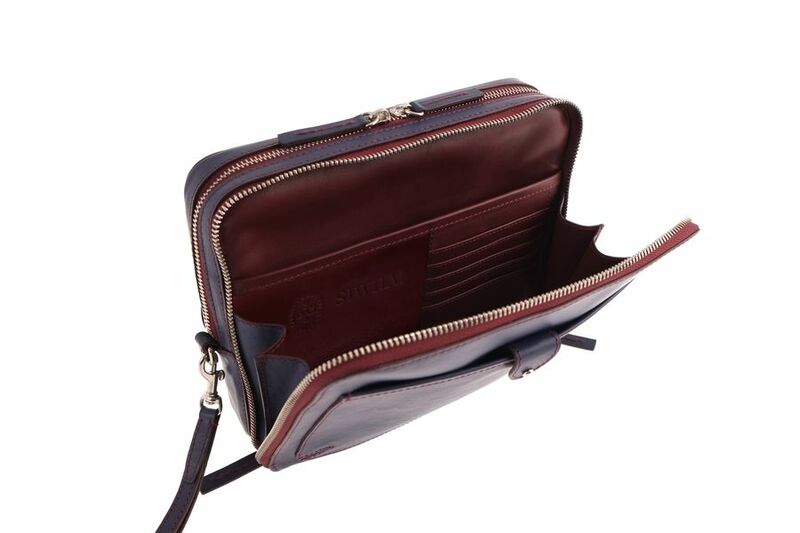 The case boasts built-in slots and holders for tablet devices, name cards and eyewear as well as a debossed Siwilai logo within its interior. 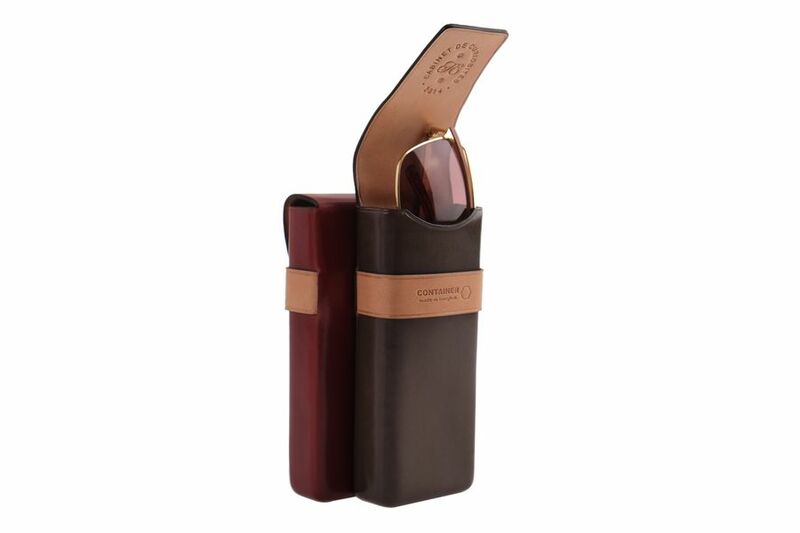 Carry options include a wide side strap as well as a removable wrist strap. 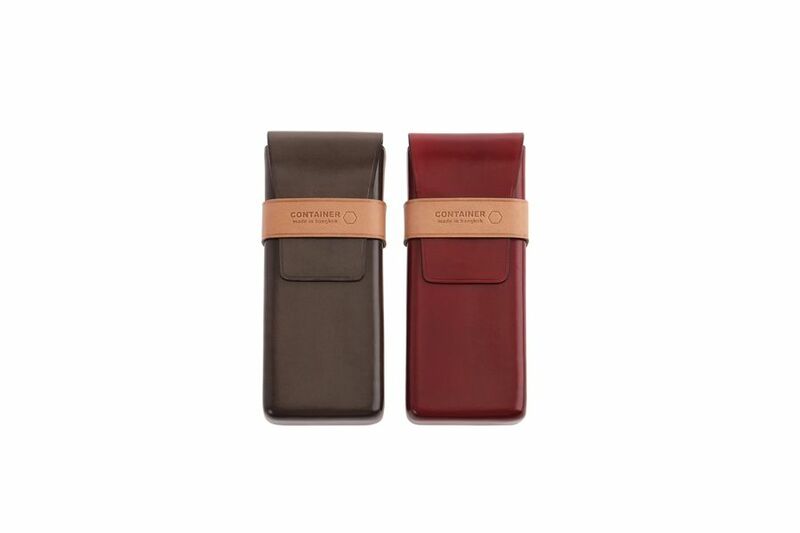 In keeping with the travel theme, Container’s co-founder Kanit Tantiwong designed a sturdy yet supple sunglasses case, made from vegetable-tanned Italian leather. They’re available in equally handsome shades of taupe or red, contrasted by a beige-toned natural leather strap-closure and lining. 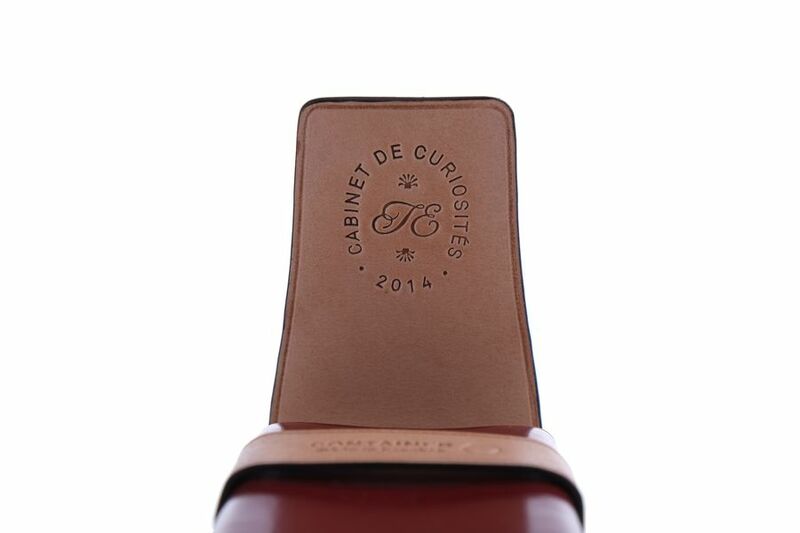 To commemorate the special collaboration, the CDC emblem has been debossed in each case’s top-flap interior.